The navigational chart is designed to provide mariners with navigational and hydrographic information necessary for safe navigation. We produce and publish both paper and electronic river navigational charts at different scales based on up-to-date computer technologies. 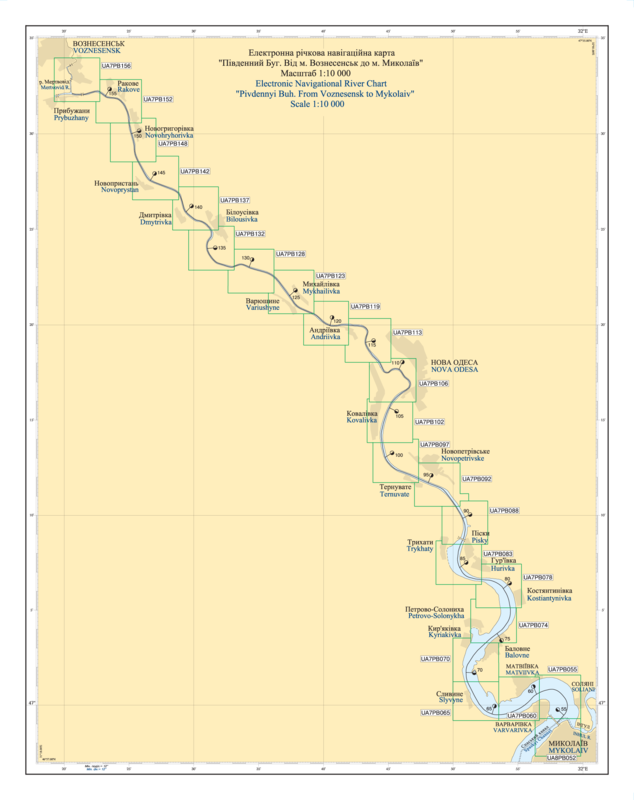 River Navigational Chart is an essential tool used for solving any navigational issues, such as examination, analyzing and selection of the data on navigational and hydrographic situation on rivers. Depending on the chart scale and purpose, it may provide a detailed representation of the coastline, river bottom features (soundings and isobaths), navigational hazards, bottom grounds, aids to navigation, landmarks, fairways, areas prohibited for navigation, as well as other elements necessary for safe navigation. Electronic River Navigational Chart (ERNC) is a dataset organized to represent the part of the earth’s surface and developed on the basis of cartographic generalization rules in appropriate coordinate and elevation systems. In other words, it is an encoded description of geographical reality displayed on a screen using software and hardware of electronic cartographic system. Electronic river navigational charts contain all the cartographic information necessary for safe navigation and are in keeping with current international standards, the main of which is Inland ECDIS Standard collectively implemented for inland waterways charts by the International Hydrographic Organization, Central Commission for the Navigation of the Rhine, and United Nations Economic Commission for Europe. Electronic river navigational charts issued by the State Hydrographic Service of Ukraine meet the requirements of Inland ECDIS Standard ver. 2.0. 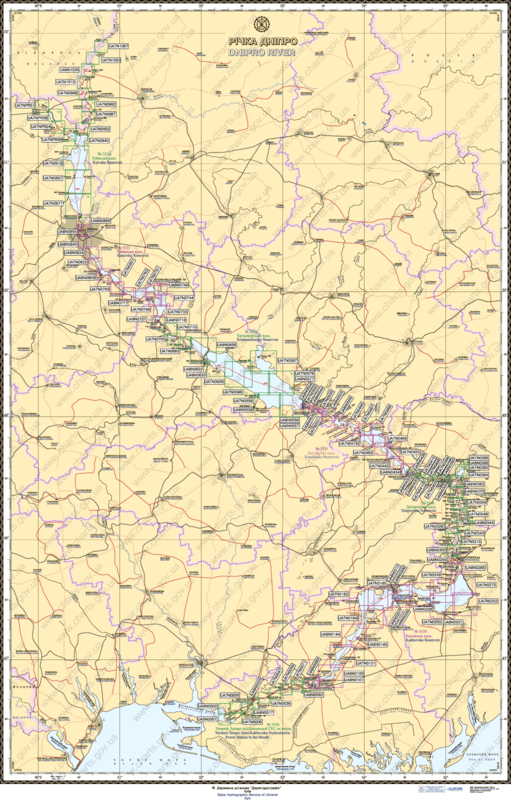 In order to familiarize a wide range of consumers with the products of the State Hydrographic Service of Ukraine as well as provide visual information on the overall geographic arrangement of cartographical load of charts, the site shows images of the official navigational charts. All the cartographical images are scoping ones not suitable for use for navigational purposes. The SHSU does not bear responsibility if they are used for unintended purposes.